A biological impossibility but no problem artistically – not for Akemi Takeya, anyway: fruit and human flesh becoming one. This unification consists of 72 parts, numbers and names. 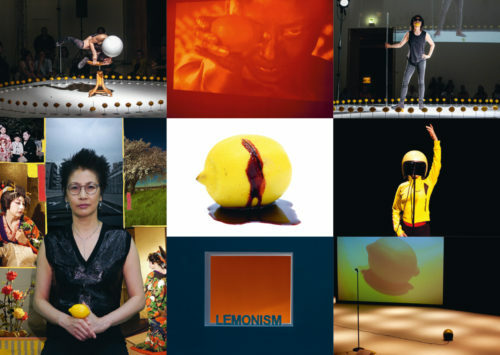 For the first time, the audience can travel through the entire universe of Lemonism explored so far, hybridised with minimalism, Dadaism, Japonism and actionism, among other things. The procedure opens up a completely new way of looking at 20th-century art history – a time when people readily believed in isms. Takeya drives this belief through her body once more in the glorious conclusion of her Lemonism project.